Please note: Links from this site may take you to other web locations outside the CBRR website. CBRR is not responsible for the content or accuracy of information on external sites. What is this East West Rail project aiming to do? Who is building the East West rail link? EWR Alliance (EWRA) The Alliance is made up of Network Rail, Atkins, Laing O’Rourke and Volker Rail. It is responsible for designing and building the Western Section. Who decides which route to take? Department for Transport (DfT) Owns Network Rail, HS2 and finances EWR Company: owns Highways England. Transport Secretary: Right Hon. Chris Grayling MP. Has the ultimate say. 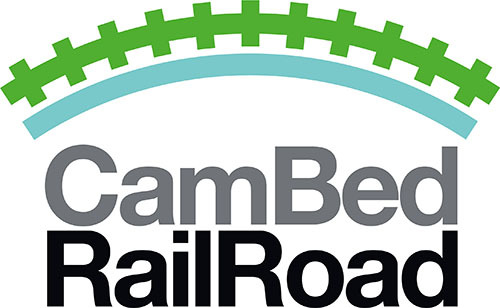 East West Rail Project (EWR) Connecting Oxford and Cambridge, with Milton Keynes, Bedford etc. through the 'Knowledge Arc'. Divided into 3 Sections: West = Oxford – Bedford; Central = Bedford – Cambridge; East = Cambridge – eastwards. The East West Rail Consortium 19 Local Authorities: chaired by CCC. Commissioned Phase 1 Report, 1995. Commissioned Phase 2a Report, 2013. Commissioned Phase 2b Report, 2015. High Speed Rail 2 Ltd Company responsible for developing and promoting the UK’s second high speed rail project from London to Birmingham and the north of England. railfuture Interest group campaigning for a better passenger and freight rail network, independent of rail companies, government, etc. Ministry of Defence Responsible for military installations such as Bassingbourn Barracks. Route C2.2 option for the East West Rail link would pass through it. National Infrastructure Commission (NIC) Chairman Sir John Armitt. Provides independent, strategic thinking, analysis and advice to address the UK’s long-term infrastructure needs. Has expressed strong support for an integrated road-rail solution. The decision may be influenced by Parish, District, City and County Councils, including the Cambridgeshire & Peterborough Combined Authority. Ultimately the final decision rests with the Department for Transport, co-ordinating the actions of Network Rail and Highways England, and co-ordinating with the Ministry of Housing, Communities and Local Government, all as recommended by the NIC. Which Local Authorities have a say about the route? What other Organisations are showing an interest in the route?